Grade: 304,304L,304H,316,316L,316H,316Ti,317,317L,309S,310S,310H,347,347H,321,321H, 904L, S31254(254SMO), duplex S31803,S32750,S32760,Monel 400, Inconel 600, Inconel 625, Incoloy 800, Incoloy 800H, Incoloy 825, Hastelloy B2, Hastelloy C-22, Hastelloy C-276 etc. Cold Rolling is a preferred production process for high precision seamless tube. 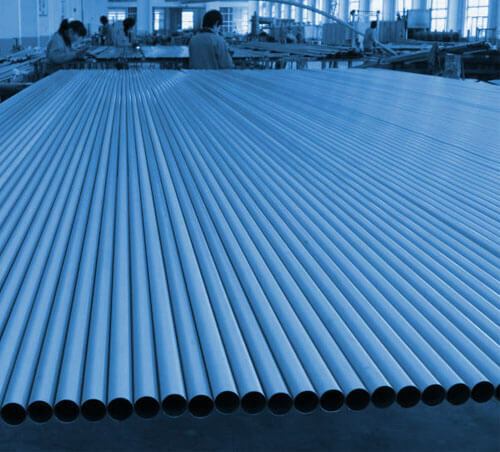 Most of our heat exchanger tube and mechanical tube are made by cold rolling. This technique provides a high forming rate, narrow tolerances and good turnouts. Now the biggest diameter we can get is 114.3mm for this process. Cold drawing is the general process for our tube and pipe. Pipe&tubes from this process can be got a a very narrow tolerance ranges, and keep the chemical element well. Additionally, the cold drawing process is the perfect choice for situations which place high requirements on the quality of the surface structure. with a thin thickness or big thickness. For details, welcome to check Dimension Arrange Table. 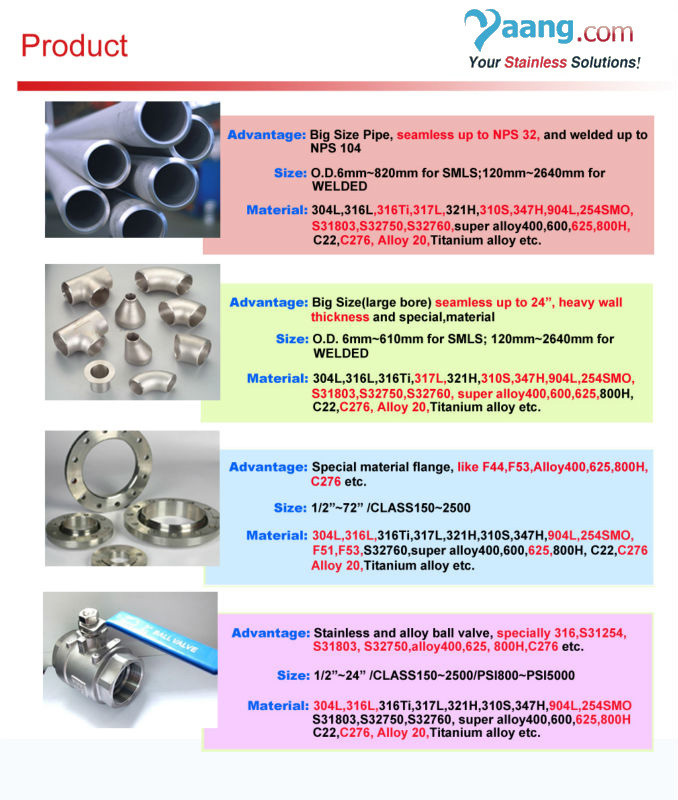 Monel 400, Inconel 600, Inconel 625, Incoloy 800, Incoloy 800H, Incoloy 825, Hastelloy B2, Hastelloy C-22, Hastelloy C-276, 15-5PH, 17-7PH,Cu70Ni30(C71500/B30), Cu90Ni10(C70600/B10)etc. wall thicknesses from 0.5 up to 68 mm (0.02 up to 2.68 inches). 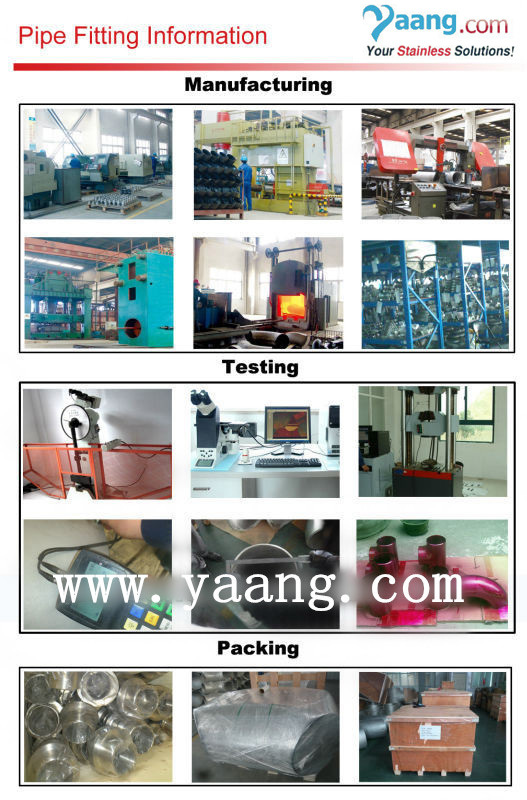 If any inquiry, please don't hesitate to contact us sales@yaang.com.